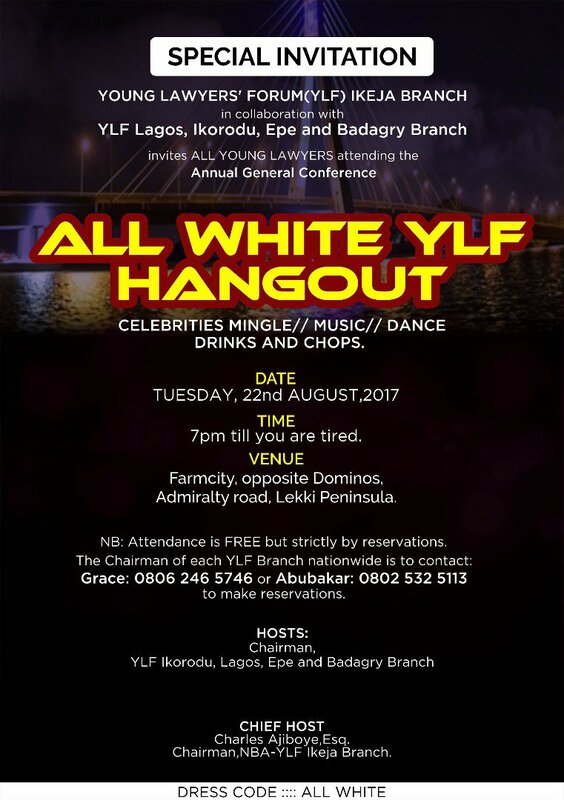 All attendees of @nbaconferenceng are specially invited to the Biggest Party at the NBA Conference hosted by The Ikeja Branch of NBA Young Lawyers Forum (YLF) in collaboration with other YLF Branches in Lagos State. Venue: Farmcity, opposite Dominos, Admiralty road, Lekki Peninsula, Lekki. NB: Attendance is FREE but strictly by reservations. All Guests and The Chairman of each YLF Branch nationwide should please contact: Grace: 08062465746 or Musa: +234 802 532 5113 to make reservations.